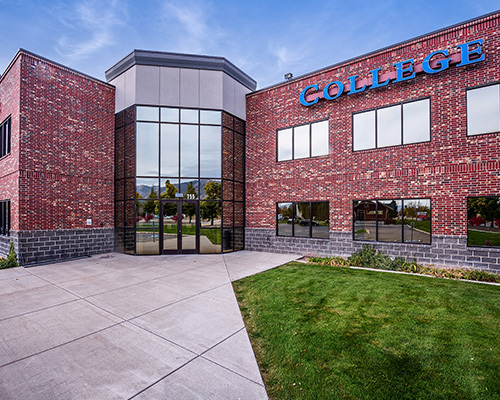 Located right at the “Y” of Cache Valley, the Logan campus of Stevens-Henager College provides everything you need to prepare for your GED® at zero cost to you. The campus has a classroom dedicated to the Good Neighbor Initiative’s no-cost GED® test prep classes, as well as a computer lab for your practice tests. Stop by or call the campus today to get more info! Danielle Bird earned a B.A. in history and an M.A. in American history from the University of Montana. Following college, she worked with at-risk families at the Poverello Homeless Center in Missoula, Montana. After moving to Logan, Utah, in 2006, she worked in adult literacy at the Logan library. She enjoys her position at Stevens-Henager College helping people earn their GED® test credential. "At 41 years old, I’d built up a lot of self-doubt. My GED® test instructor was very encouraging and very approachable. It was a great confidence builder to finally complete it! It truly was 100% no-cost."